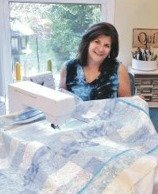 The Easy-Connect Quilting files and technique allow you to use your home embroidery machine to get quilting results like you’d see from a long-arm quilter. 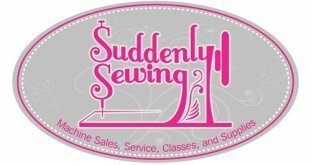 Edge-to-Edge Quilting on Your Embroidery Machine includes instructions for the Easy-Connect Quilting technique, the embroidery files needed to stitch out 10 quilting designs, perfect for perfecting this technique. Requires an embroidery machine with a 6 x 10 hoop or larger. CLASS SUPPLIES: Book or expansion pack purchase is required. Due to time restraint we will not be doing a whole quilt, but this class will teach you the basics to get those quilts quilted! !